Performing deep borings, in-situ testing, and seismic shear wave measurements to determine an accurate soil and bedrock profile. Perform site specific probabilistic seismic hazard analysis to establish design ground motions. 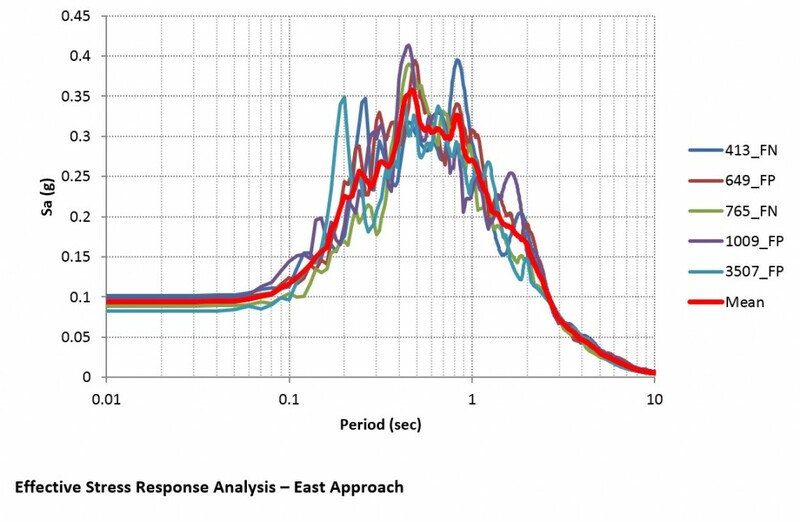 Complete detailed liquefaction analysis based on site specific response analysis. Soil densification and/or replacement to reduce liquefaction potential, stone columns, compaction grouting, earthquake drains, blast densification. Slope reinforcement with geosynthetics, tiebacks, flattening, or buttresses to resist horizontal seismic forces. Lateral and axial capacity design for driven pile and drilled shaft foundations to resist lateral spread-induced pressures and downdrag load can be completed.